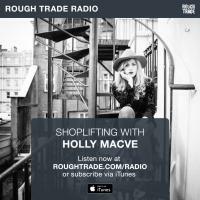 Recorded from the heart of Rough Trade East our radio shows set out to bring you all the latest music and news from the world of Rough Trade. Holly Macve popped into our Podcast room to chat and play some of her favourite tracks, picked from the racks of Rough Trade East. Holly’s amazing debut album, Golden Eagle is our Album of the Month for March.